Co•–st•–l W•–ve Tr•–nsl•–tor is a continuously updating sound composition that translates wave data, collected from weather buoys located throughout the Indian and Pacific Oceans, into sound. This work offers a meditation on the unseen, intermediary space between borders: the space where countless traverse, the space that continues to rise. Co•–st•–l W•–ve Tr•–nsl•–tor is a continuously updating sound composition that translates wave data, collected from weather buoys located in the Indian and Pacific Oceans, into sound. This work offers a meditation on the unseen, intermediary space between borders: the space where countless traverse, the space that continues to rise. Wave data was collected from buoys near Manus, Nauru and Christmas Islands—locations of Australia’s offshore detention centres—and Kiribati, a nation increasingly impacted by the rising tides caused by climate change. Drawing on oceanic communication and morse code, the work creates a sensory proposition of the distress signals tied to the ocean. When faced with issues of immense scale and complexity, this work takes an alternative approach to consider that which is distant, obscured and imperceptible: focusing on the data regarding the movement of the ocean. 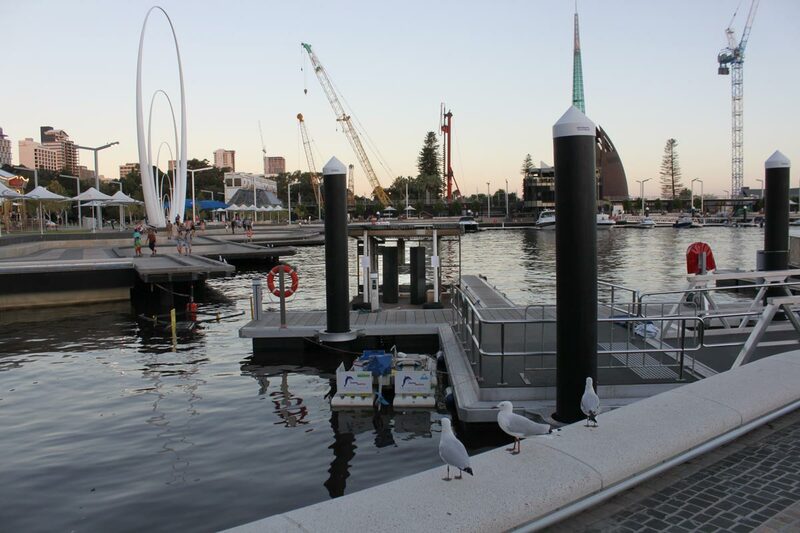 This project was originally presented as an installation at Perth's Elizabeth Quay. 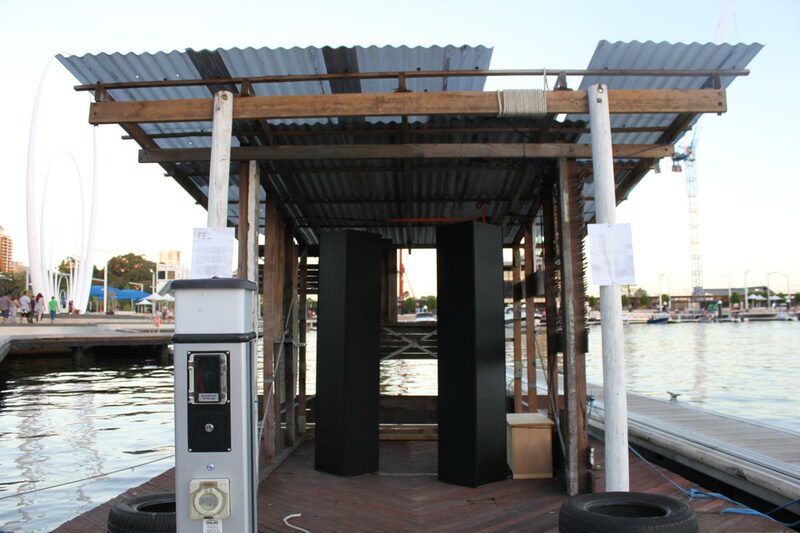 By channeling this data into sound through Perth’s latest waterfront development, this installation acts as a distress beacon that questions how we are truly developing. 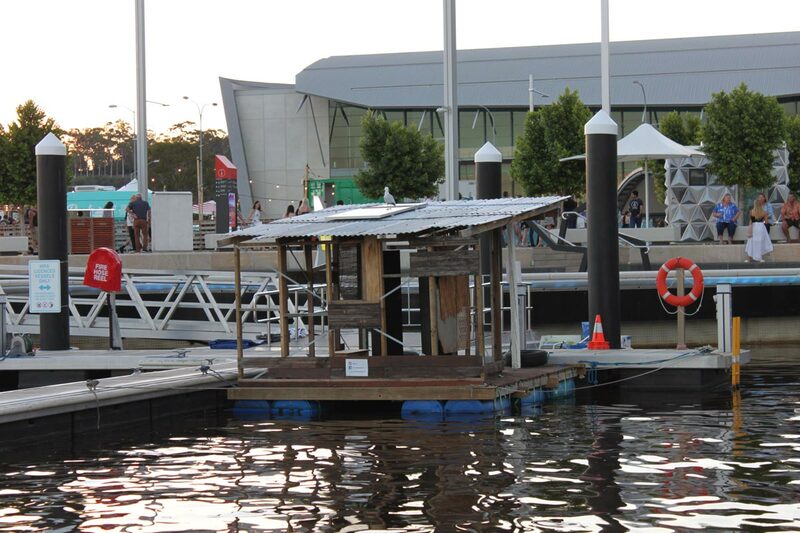 This project was first exhibited at RAFT: an independent art-space housed on a pontoon made from verge-collected materials. Wave data is collected and continuously translated to sound from ocean buoys courtesy of the United States National Oceanic and Atmospheric Administration’s open database. Special thanks to Trevor Ward for his help with database development. This project was possible due to the generosity of the Tan Family and their tools. Kynan Tan is an artist working with digital processes to investigate networks, data transference and relational structures between multiple senses. These works take the form of multi-screen audio-visual performances, installations, 3D-printed sculptures, improvised sound, and kinetic artworks involving electronic circuits, speakers and lights. Tan has been the recipient of a DCA Young People and the Arts Fellowship (2013), Australia Council Artstart grant (2013), and participated in the JUMP Mentorship Program (2012), studying with audio-visual artist Robin Fox. Kynan has performed in Japan, Germany and throughout Australia, including events such as Test Tone (Tokyo), Channels Video Art Festival (Melbourne) and the NOW now Festival of Art (Sydney). His works have been exhibited at MOCA (Taipei, Taiwan), NH7 Festival (Pune, India), First Draft (Sydney) and the Perth Institute of Contemporary Art. Devon Ward is an interdisciplinary artist investigating how data, information and biotechnologies intervene on living bodies, materials and processes in order to explore notions of the space, scale and identity. His work takes the form of multimedia installations that include video, sound, print and sculpture. Ward received a Master of Biological Arts from SymbioticA at the University of Western Australia in 2014 and a Bachelor of Fine Art from the University of Florida in 2010. In 2014, he was awarded the American-Australian Grant for Visual Arts (2014). He has exhibited with Design Festa Gallery (JP), Focus Gallery (US), WARPhaus (US), John Curtin Gallery (AU), Paper Mountain Gallery (AU), and the City of Perth’s Light Locker (AU). He created RAFT an artist-run space with Janet Carter. Ward teaches Integrated Design in the School of Design at the University of Western Australia. Co•–st•–l W•–ve Tr•–nsl•–tor played continuously for two weeks in February 2017 at Elizabeth Quay in Perth, Western Australia. The installation consists of two custom-built speakers that are 1.7 metres tall. The speakers are solar powered and sound was played directly from this website using a Raspberry Pi microcomputer. The speakers are custom-built in order to achieve specific levels of volume and sound projection within a system powered entirely by solar sources. Sample video of the installation. Co•–st•–l W•–ve Tr•–nsl•–tor played regardless of weather conditions. This installation acted as visible and audible beacon that intervened on the daily interactions of the space. 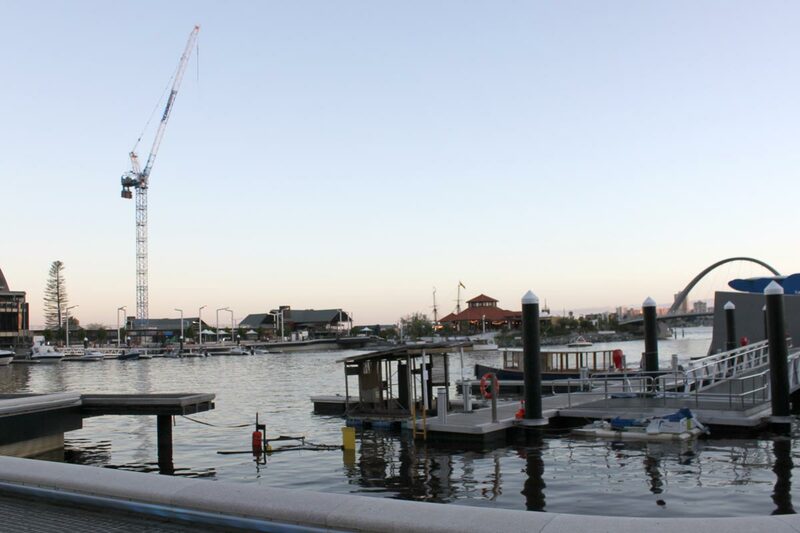 The artwork was exhibited with RAFT, an independent arts-space housed on a pontoon made from verge-collected materials. 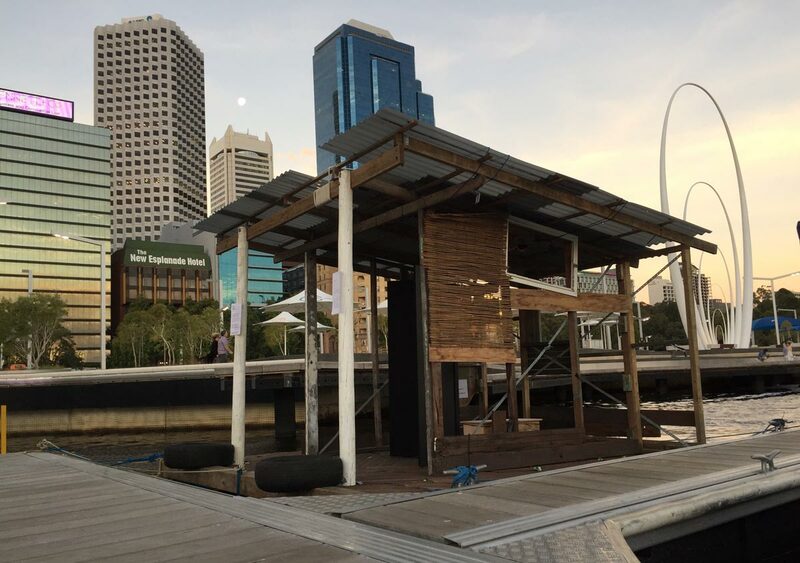 RAFT hosts arts events throughout the Derbarl Yerrigan (Swan River) in Perth. The sound composition consisted of numerous 'modes', each of which experimented with methods for creating sounds using frequency modulation synthesis. The generation of 'notes' is through the conversion of data points into the rhythmic pulsing of Morse code, while the quality of the sound is also modulated via data. The use of Morse code in the context of sea travel infers distress signals and attempts at communication across territorial and spatial boundaries.